Two lottery winners came forward to collect and take home their money-hugging cheque of an incredible $7.5 million each, one day apart from another. It was over three months ago that the draw took place and each winner guessed the correct numbers drawn on the 22nd July. Was it a coincidence or maybe an agreement between the two? That remains a mystery. 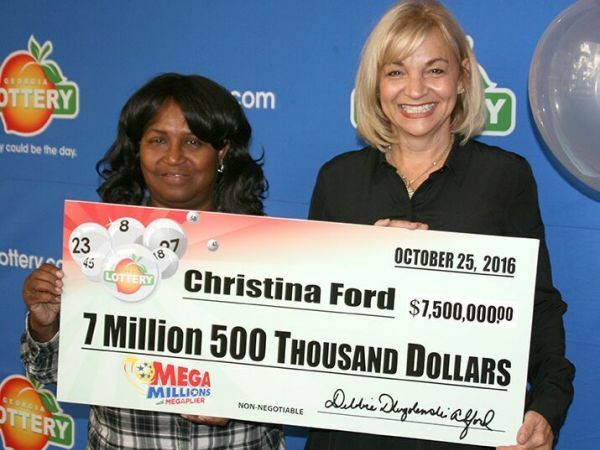 According to 11alive.com, when Christina Ford from Dallas found out she won, her first reaction was actually thinking it was a dream. She kept saying, ‘Yeah, right. This can’t be true,’’ whilst checking the live draw on TV. Christine Ford decided to wait three months so that she can plan carefully how she will spend the money. The new millionairess announced that she will be using her windfall for spending some time taking relaxing vacations and help her family financially. Something told him to recheck the numbers again. At that moment, he realized that he will be millions richer. He also waited some time to claim his prize to meet the financial experts and make the necessary plans for the future. 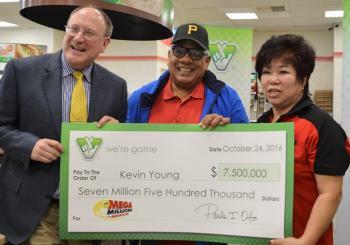 A surreal experience it is to win the lottery especially - particularly Mega Millions, as one million is already a guaranteed prize. So far the American Lottery has aided the Georgian state providing the funds for educational programs like HOPE Scholarship program. This scheme helps students who achieve academically but need financial help for a college degree. So what are you waiting for? Buy your lotto tickets from our partners for the coming lottery draws this evening for your chance to be a new millionaire. Break a leg!